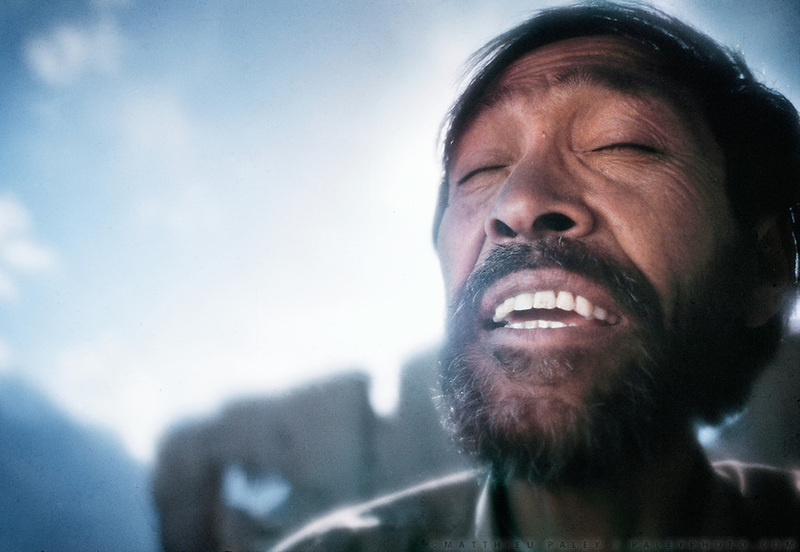 Hasni, a poet, sings a song in his native Balti language, of Tibetan origins. Skardu, in Baltistan province, Karakoram mountains. Pakistan.